HR experts and business leaders share their strategies on how to ensure employees are productive between Thanksgiving and just after the New Year. Keeping morale and productivity high during the holiday season (between Thanksgiving and just after New Year's) can be tough. The pull (and stress) of family and holiday shopping can cause workers to be distracted, or lose interest. As can going to work while their coworkers take vacation days. So what can employers and managers do to keep employees motivated and working toward year-end goals from late November through early January? Here are nine suggestions, provided by business owners and managers as well as HR experts. 1. Recognize employees -- with thank-you notes and/or small gifts. "In workplace culture, the power of thanks is too often overlooked," says Eric Mosley, CEO, Globoforce, an employee recognition company. "When employees are thanked for a job well done, they are motivated and inspired to do great work; they are driven to surpass company goals; and they are happier and more committed to their employer," he says. 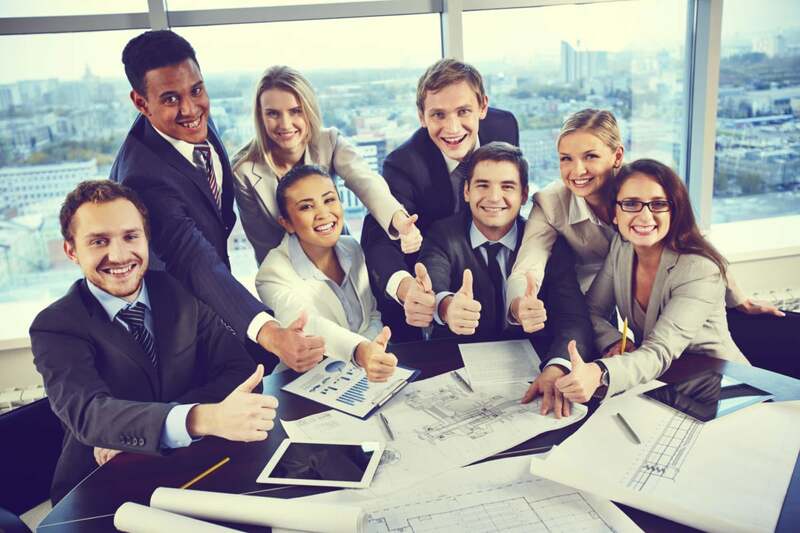 "Our Workforce Mood Tracker survey shows that there is a demonstrable link between thanks and motivation: 86 percent of employees say that being recognized motivates them in their job. So thank your employees for a job well done -- and not just this holiday season but every day, year-round. The positive effect will be palpable." "Write a handwritten note," says Kara Simon, general manager, 3Cheers Recognition & Rewards. "The time it takes to sit down and write a personalized note says a lot in and of itself. By expressing appreciation in a personal note, the recipient will feel appreciated by the effort and motivated to continue to go above and beyond." "You can [also] say 'thank you' with gifts that are personalized," says Heather Rykowski, president, All in The Present, a corporate gift service. "Gifts are strong motivators because they are memorable and make us feel good." "Whether it's a gift card to their favorite restaurant, a day or two of extra vacation time or the latest tech gadget, pairing a meaningful reward with recognition enhances the emotional connection employees share with the company," says Simon. Whether you have a big budget or a small one, "find rewards that will have value and be meaningful" to employees, which will "create an even stronger connection between the individual, the company and its goals." 2. Organize an Employee Appreciation Day or outing. "There is no better time to show your employees that you appreciate them than during the festive holiday season," says Garry Spinks, cofounder, Bug Insights, a human capital & marketing analytics firm. "Have a company-wide meeting to review the achievements of the year and discuss goals for the new year." And as a reward for their achievements, "treat your employees to a breakfast or lunch." Or "if your company has extra money in the budget, consider taking your employees on an off-site excursion to work on additional team building and strategic planning." At BloomNation.com, a marketplace for local florists, for example, they have a Paintball Day just before Thanksgiving, where they take the entire team to play paintball. It's a great way to have fun and bond, says Farbod Shoraka, cofounder and CEO, BloomNation.com. BloomNation.com also sponsors an Arcade Night for employees, another opportunity for employees to have fun and bond with coworkers -- and feel good about the company. 3. Give out awards. "During the weeks between Thanksgiving and right after the New Year, begin a tradition of handing out weekly employee recognition awards," suggests Spinks. "This will encourage employees to continue to work hard and will motivate them to go to the office to see if they are an award recipient," he says. "Management can take it a step further by talking up the awards and sending out company-wide emails to encourage some friendly competition." 4. Provide free food. "Never underestimate the power of food, especially when it's free!" states Karen Miller, senior vice president, People, at food delivery service GrubHub. "The holidays are an opportunity for organizations to showcase that they care about their employees. And one way to do this is by offering perks like food in the office," she says. Indeed, "the 2014 Seamless Corporate Accounts Food in the Workplace survey found that 57 percent of respondents said food-based perks make them feel more valued and appreciated by their employers, and 50 percent said food in the office makes them feel more satisfied with their employers." 5. Sponsor a volunteer day. "Give the team a day or half-day off to volunteer at a charity of their choice or as a company," says Susan Wojtkowski, founder, TalentKey HR. "It will promote fellowship and good will." 6. Pamper your employees. "Every year, we hire a massage therapist to come in and give the team back massages," says Shoraka. "This helps everyone to feel rejuvenated and give one last big push to finish the year strong." Also consider bringing in a yoga and/or meditation specialist into the office. The need to de-stress "becomes especially important around the holidays when stress levels tend to be high," says Jeremy Smith, cofounder & COO, of SpotHero , an on-demand parking app that helps drivers find parking and reserve a spot. "Having someone come to the office makes it very easy for employees to take a break from their busy schedules and find a moment to relax." 7. Have staff engage in friendly competitions. "This holiday season, I purchased FitBits for everyone in the office for a healthy walking competition amongst the teams," says Alex Debelov, CEO, Virool, a video marketer. "Between Thanksgiving and the New Year, everyone will be competing for the most number of steps taken. The winner will receive a year-long gym membership to kick off a healthy and happy 2015." 8. Hold a wrapping party. "Let employees get gifts delivered to the office and hold a wrapping party," says Travis Furlow, head of Client Services, Alexander Mann Solutions, a provider of talent acquisition and management services. "Employees can share shopping tips and gift ideas, swap recipes for holiday meals and cocktails, and hold a contest for the most creative holiday out-of-office auto reply or ugliest holiday sweater," he says. "By acknowledging the holiday joy, you let employees know you value their efforts and contributions that help make your business successful." 9. Offer flexible hours. "It has been proven that by offering flexible scheduling, employees will be more productive when they are in the office," says vice president of Marketing & Communications, Michael C. Fina, an employee recognition company. "This is especially important during the holidays, when workers are personally busy."